"....23 sculptors showing diverse works including @juliebrixeywilliams whose performative photographic work: Wind Sculpture No.41, perfectly balanced between physicality and ephemerality, resonates with me...."
Whitefriars Studios Open Studios and Gallery show Here's the Thing 21-23rd September (and by appointment for a week after dates TBC.). Come and see the work of 16 artists in a new development of studios in Harrow in the old Winsor and Newton building. My studio is Studio 3 just before you come to the main gallery door. Warm welcome guaranteed! ​N.B. The building is also included on the Harrow Architecture Open House Walk Sat 12.00 so take a look at their website if you wish to join in. Royal Society of Sculptors Summer Show. RSS "Headquarters" Dora House 23rd July - 16th Sept.
Come along...it will be a great show. ​And if you are a sculptor, perhaps consider applying to join The Royal Society of Sculptors? It's a vibrant, forward thinking group with interesting talks and opportunities. Aldobranti Fosco-Fornio has created a beautiful book oneSelf anOther containing work and texts by 20 contemporary artists on the concept on alterity. Huge thanks for including Wind Sculpture No. 41 on pages 34 and 35. "A playful engagement with the spaces of Kuopio, ANTI Festival’s host city, has been at the heart of our approach to bringing vital, exciting and surprising contemporary art to this ever receptive and inquisitive community for 17 years. For 2018 we’re focusing our attentions properly on play and gaming – gaming in both its contemporary sense as an engagement with digital environments but also in a more expanded sense: what games, and what play, as adults, as young people, as children, do we engaged with – what forms does play take, and where and how to do we encounter it?" Vienna Calling curated by Manfredo Weihs and Teja Tegelj. MicroActs 3 - a terrific programme of short films at Hotel Elephant organised by Liberty Antonia Sadler and Lorraine Devine 12.4.18. ​Passing Between Folds was up third and we had some insightful comments afterwards. Thanks everyone! I can hardly believe I have been working with the collaborative artists group point and place for 17 years! Our latest project a limited edition (x 300) Hexagon game has just been archived in the Tate Artists Publication Archive at Tate Britain. This means anyone can make an appointment to go and view it and have a little play. Cool! ACAVA Whitefriars Studios and Gallery had its official launch last Thursday. "Matter" - the exhibition showcasing the artists' work from the studios remains on until 13th April. I have two photographic pieces in 44 Artworks with the vibrant group ArtCan at 44 Hallam Street W1. Congratulations to Dr Stella Bolaki and Egidija Ciricaite for the stunning volume that just popped through my letterbox. 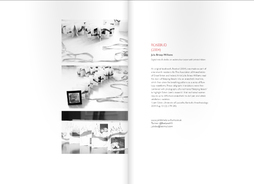 So excited to be included with so many interesting book artists. It looks amazing. My submission has been accepted for a Subsidised Self-Funded Winter Residency at the beautiful Cove Park in Argyll, Scotland. It's for two weeks and I get to live in one of these little Cubes....and what a view! ​Looking forward to some uninterrupted thinking and play. Lovely to see my artist's book Rosebud so prominently featured (see bottom - over 2 shelves!) in the Templeman Gallery display at the University of Kent Archives. Exhibition runs 1st August to 17th November. 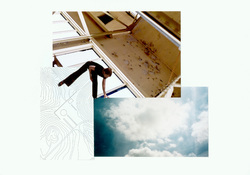 Reorientated: a Conversation of Different Geographies. Loa Kum Cheung and Brixey-Williams create a disjunctive path that dances between Western upbringing and Eastern composition. Deconstructing the terrains of their own backgrounds, they attempt to understand the relationship between physical and cultural heritage within the context of personal experience. Drawing upon the Chinese notion of Shan Shui, where the purpose is less about realism and more about an expression of the mind and heart, the artists are able to absorb technical qualities of composition, rhythm and flow to cultivate personal landscapes that offer a variety of perspectives upon the idea of belonging. This repositioning unites the artists as they deploy some of the boundaries of Asian landscape art and calligraphy to investigate disconnections between time and location, allowing the pre-existing landscapes to be absorbed into the original meaning of ‘–scape’: a personal and continued material engagement with place. So very chuffed to have my textile piece on the front of the flyer for the Love and Peace show at the National Art Centre, in Tokyo. The exhibition was curated by the group Nihon Bijyutsu Kai (founded in 1947) who operate an Anti-Academism approach. The show had great audience figures due to the blockbusting Yayoi Kusama exhibition next door! 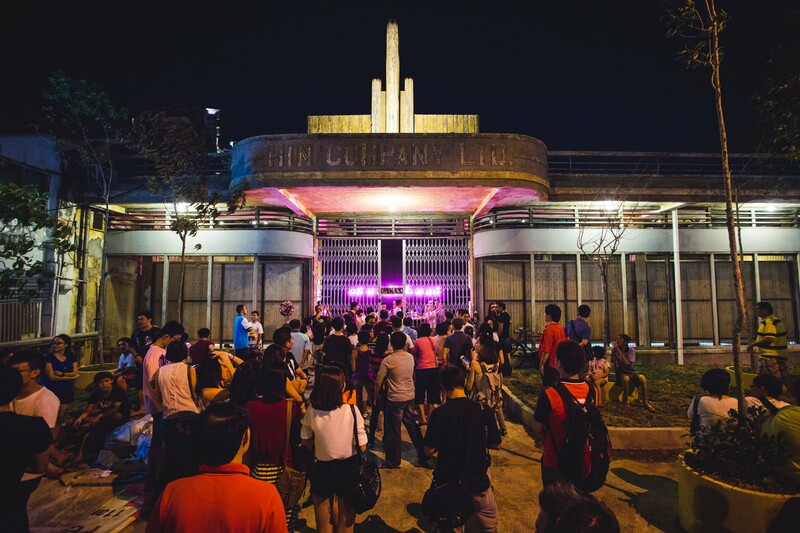 We are very excited that our pointandplace Hexagon game will be launched at Play: two days of exhibitions and performances at the Hin Bus Depot, the busy contemporary art space in Penang. I will also be sending a score - A Drawing of Two Characters - to be performed by Lusy Koror and a second local artist. Stimulating eve of lacy food & discussion at The Tracing the Pathway Simple Acts dinner at the Milton Keynes Arts Centre curated by Hayley Newman. A big thank you to Anne who showed us her wonderful skills at lace-making that promoted much inspiration for dialogue and to Tom whose artwork was on show. ​ Milton Keynes. This artist-led dinner and sharing will be curated by Hayley Newman on the theme of Lace in response to Tom Dale's (http://www.daletom.com) upcoming exhibition at Milton Keynes Art Centre. It's sure to be s stimulating evening. My bookwork Rosebud, made as part of my ten-month residency at The Association of Anaesthetists of Great Britain and Ireland in 2004, will be going into the Templeman Library Special Collections archive at the University of Kent. It will be available for loan and exhibition from early 2017. Thanks to exhibition organiser Egidija Ciricaite and archive curators Nick Hiley and Elspeth Millar for smoothing the way. Movement workshop with OlgaMasleinnikova at Bethlem Hospital Symposium SiteBodyVoice body as architecture Sept . Lovely to work outside and one of the best physical explanations of Laban I've encountered. Thanks Olga! I hope we get together again soon. Another great session with MA Contemporary Performances Practices students at Royal Holloway. Loved the experimental approaches you unlocked to document your performance experiences. 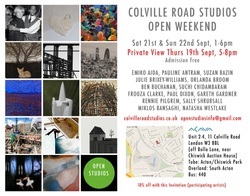 You are all most warmly invited to my Open Studio at Colville Road Studios as part of BEAT. Colville Road Studios W3 8BL Open Studio is joining forces with the BEAT (Borough of Ealing Art Trial) this year over two w/es: 10th/11th and 17th/18th Sept. Artists will be exhibiting over 50 venues across the borough. Carnival parade outside OpenEaling. Everyone put in a great deal of hard work over the week. Congratulations Stella and Egidjia for the beautiful catalogue for Prescriptions: artist' books on wellbeing and medicine. 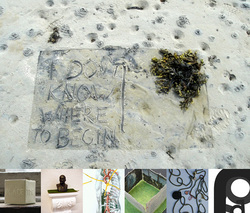 My artist's book Rosebud will be on show from 21st April -25th September. Please RSVP to annabelle.cox@canterbury.gov.uk or call 01227 378116 by Wednesday 20 April. Such very exciting news. SPUD have chosen me to be the last Artist-in-Residence at the award-winning Observatory in Lymington before it moves to Mottisfont Abbey (and later in November to Bucklers Hard). I went down yesterday and met everyone involved (including the current artist Julie Collins who kindly explained the vagaries of the charcoal stove!) and took a wonderful 2 hour walk along the seawall - lots of ideas already percolating. Check out the previous artists' work on http://lookinlookout.org or on exhibition at the St Barbe Museum and Art Gallery, Lymington until 16th April. Once I get established I will be blogging on https://www.facebook.com/SPUDObservatory/?fref=ts. Or come down and see me - it's beautiful. I've been mentoring a young girl once a week for the past 3 years (since she was a 11). Today we did an exercise where she explored her face by palpation with one hand, with her eyes firmly shut, while simultaneously drawing with the other (& keeping the pencil on the paper at all times). First she drew the bony landscape for 10 mins and then repeated the process in blue pencil as she felt her way around the muscles and flesh. Prescriptions (Beaney House of Art & Knowledge, 21 April -14 August 2016). It will present artists' books by Maine book artist Martha Hall, for the first time in the UK. Hall's books, created from 1998 until her death in 2003, document her experiences with breast cancer and her interactions with the medical community. They use many constructions and designs that challenge the conventional book form and demand a physical reading. The Prescriptions exhibition will also include a supporting show of artists’ books by national and international artists responding to themes of art and wellbeing that is curated by Dr Stella Bolaki and Egidija Čiricaitė. 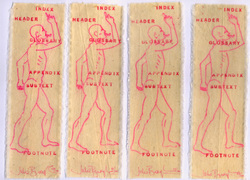 This show forms part of the Artists' Books and the Medical Humanities project at the University of Kent. Hanna's Matisse response to Rodrigo y Gabriela's guitar piece "Vikingman" @ OPEN's workshop on Painting Music with Scissors. Plus excellent work from Katherine, Elizabeth and Tabitha. 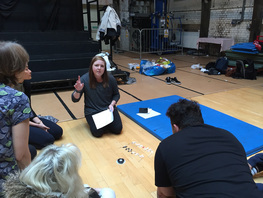 A brilliant workshop day yesterday with MA Theatre and Drama Students@ Royal Holloway making experiential documentation for performance. Really great work. 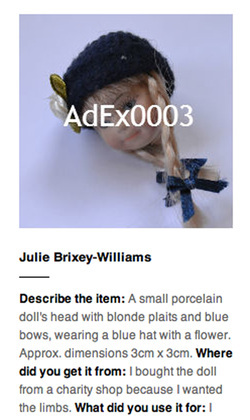 Step Feather Stitch, 2012 has been selected for Axis #Five2watch this week from Friday 6th Feb. The theme is Threads, and is linked to the Cultural Threads: Transnational Textiles Today symposium taking place at Central St Martin's, London on 7/2/15. W3 Gallery, 185 Acton High Street, Acton, London W3 9DJ. The original art ranges from prints and paintings, to jewellery and craft, t-shirts and cards. Come and buy an unique gift for Christmas. I have made a new ink and stitch double-page piece to be included in an original stitched and bound Zine with works collected by Clare Smith for the Zine project at the Public Zine Library in Dover: https://www.facebook.com/thepubliczinelibrary. 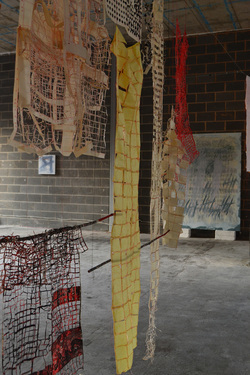 The Zine project is connected to Stitched time: a project initiated and organised by Clare Smith which explores Art as Work and the importance of making. Do come along and see our 12 artists' studios - all working in very different ways. It's a great opportunity to gain insight about the process of making art. We love to have a chat! Plus lots to look at and plenty of great things to buy and hang on your walls. WESTFIELD LAUNCHES 'WE ARE LDN SUMMER' CAMPAIGN: Six Weeks of Culture and Culinary Art. Possible Futures: perishables and impermanence, The Practice Gallery, Windsor Building, Royal Holloway, University of London. 2 more days left to see. A Pinterest site has been set up to support the w0budong blog (see below) with images that relate to the text or that can be used as another point of entry. Do come and have a look. Julie Brixey-Williams, Sue Gough, Jayne Lloyd, Clare Smith and Catherine Wynne-Paton will be contributing to a blog over the next few months about calligraphic mark and texts without meaning, which culminates in an exhibition in Manchester in 2014. The exhibition is organised by artist Jayne Lloyd as the culmination of a year long project that included a residency at the 501 Arts Space, Chongqing. Advertising Exhibitions have teamed up with Alice Bradshaw – independent curator and founder of the Museum of Contemporary Rubbish (MoCR) – to put together a new project focusing on rubbish. I've sent off my submission. 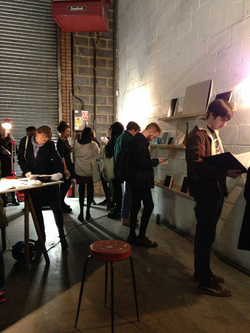 Bryony White has created an informal research installation where the sketchbooks become objects in their own right. A marvellous achievement to collect such a variety of formats from UK and international artists, which are arranged simply to allow the viewer to handle and truly engage with the material. Making choices, climbing steps, negotiating bodies, creating exchange and donning the white gloves brings the viewer one step closer to a their own active performance in the space. 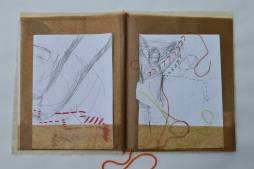 Libby and I will be showing our drawings, stitchings and other research for Step Feather Stitch at Before Performance. The installation explores writing, drawing and sketching and its relationship with performance and live practice. This is rare chance to handle and read a wide range collection of intimate notebooks and sketchbooks - personal journeys towards performance. Thank you to Chris at Chiswick Buzz for putting me at ease during the interview. Several artists at my studio Colville Road Studios W3 have taken part in this series. This week (14th October) I am guest blogging on We Are Artists. Presenting Structuring the ‘What If?’ of Walking: starting points for capturing intuitive responses to materials on Friday 13th as part of Walking in the city: mapping borders (part of the In the City Series) symposium, at The Parlour Showroom, Bristol. 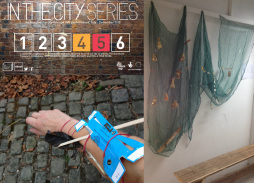 Walking in the City is co-curated by PLaCE & The Showroom Projects. 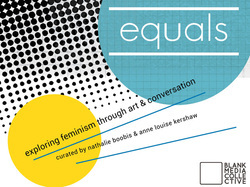 The symposium and talk are curated by Cara Davies (UOB researcher). How can walking and talking change our experience of the city? Thank you Blank Media Collective for asking me to contribute (p32-33) to your engaging dialogue on contemporary feminism. Good job. This year's show at Mottisfont Abbey (National Trust) is on the theme of spaces, linked to the many different natural and constructed spaces of the Abbey. My ACAVA Open Studio this weekend 21st &22nd Sept 1-6pm and PV Thurs 19th evening 5-8pm. 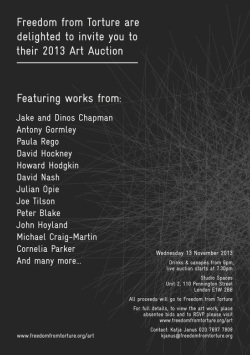 14 very different artists -do come along, have a chat and see the work. Bookmarks XI: infiltrating the library system project and website has just launched. The Bookmarks projects series aims to encourage appreciation of work in the format of the artist's book. Participating artists each produce an edition of 100 signed and numbered bookmarks to give away through distribution boxes at venues around the world. Bookmarks XI includes 34 artists from Australia, Denmark, Germany, Spain, the UK and USA.